Is bankruptcy right for you? If you really cannot pay your debts on time or within a reasonable amount of time, bankruptcy may in fact be the responsible and ethical alternative that’s right for you. If you are able to pay your debts but you simply don’t want to, then a bankruptcy is probably unnecessary and may be considered unethical. If you are not sure about the ethics of bankruptcy in your personal circumstances, the newest bankruptcy laws provide a precise formula that can help you decide. The formula is used by Texas courts in all Chapter 13 and Chapter 7 bankruptcies. Essentially, it will tell you if bankruptcy is right or wrong for you. Most people will try to avoid filing bankruptcy. That’s good – you should avoid a bankruptcy if you can. You should only consider bankruptcy if you have genuinely tried to pay all of your debts, but you can’t. Bankruptcy isn’t right until you have exhausted your savings, liquidated your stocks, and borrowed from your retirement. If you’re still unable to pay your bills, it might be time to explore your legal rights and options with an experienced Dallas bankruptcy attorney. Bankruptcy should be considered only when you have made every effort to pay all of your bills. This includes exhausting savings, cashing in stocks, or borrowing from your retirement to try to pay your debts. As a last resort, if you cannot pay your bills, it may be time to contact an experienced Dallas bankruptcy lawyer. Most people will try to avoid filing bankruptcy and that is likely a good idea. Bankruptcy should be an option when you have made every effort to pay all your bills. This includes exhausting savings, cashing in stocks, or borrowing from your retirement to try to pay your debts. As a last resort, if you cannot pay your bills, it may be time to contact a Houston bankruptcy lawyer to explore your options. Call Richard Weaver at (817) 422-5929 or (214) 960-4125. Sometimes circumstances are outside of your control. Bankruptcy laws are designed for those who are hopelessly in debt to get a fresh start and a chance to regain solid financial footing. Is bankruptcy for you? 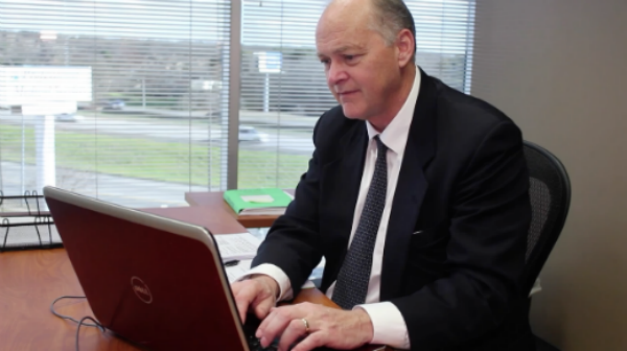 Find out by discussing your circumstances with an experienced Dallas bankruptcy lawyer. Call Richard Weaver promptly at (817) 422-5929 or (214) 960-4125.